This second [Radio Afghanistan] recording was made at the end of the 1970s during the soviet occupation of Afghanistan when RA programmes were rebroadcasted via Soviet transmitters. In this case it is the english service beamed to several parts of Asia. The recording was made one some day at 0900 GMT on 15435 kHz. It was a relay via Soviet transmitter. The first [Radio Afghanistan] recording is from 1976. The recording was made with the GRUNDIG Satellit 600 Professional recorder unit prototype I got from my uncle who worked at GRUNDIG as mentioned before. Listen carefully to this recording. In the background you can hear the VOA Yankee Doodle played before starting its programmes. The programme was broadcast via the BBC Ascencion Island Relay, at 1130 GMT the VOA programme in Spanish for South America began. Later in the recording you can also hear Radio Moscow's ID signal. 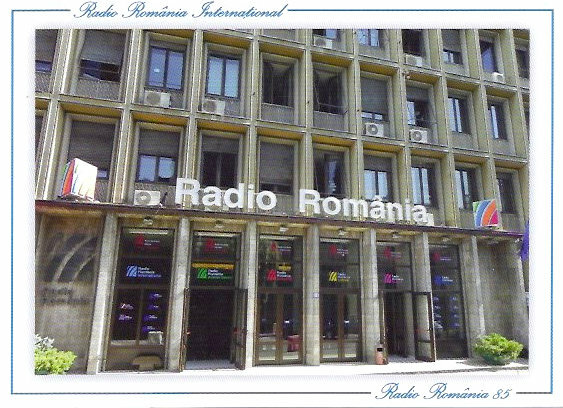 Radio Romania International, program in spanish to Europe. Good signal in South America. News and comments about political elections in Romania, cultural and historical comments. First let me say that I enjoy your blog a lot. After a 2005-13 hiatus, I have rediscovered a childhood hobby and your reviews have helped me find my way to the post-Sony portable shortwave radio markets. First, I obtained my “childhood dream” radio (Sony ICF 2001D), because at the time I made these recordings I was still in school and 1300 DM would have equaled over 1 year of pocket money, so a Supertech SR16HN had to do. I thought I got some fine results with this Sangean-Siemens re-branded receiver then, using a CB half-length antenna, a random wire, and much endurance. I kept regular logs throughout the years, wrote to 50 international and pirate stations for QSL and compiled this cassette. A few years before I got that trusty SR16HN, however, I recorded a few number stations (such as G3, Four Note Rising Scale etc) with an ordinary radio cassette recorder, and in 1991 I put them onto this tape as well. The other recordings are done with the same radio placed right in front of the SR 16HN. Feel free to make use of these recordings. Most of it are the well-known international state-owned shortwave stations of the past; plus European pirates; plus number stations; and at the end, a few (off-topic) local Am and FM stations interval signals. As I said, this collection I made shortly after the Wende/reunification period, when all former-GDR state broadcasters changed their names, sometimes more than once. Please continue your good work on the blogs! Weather permitting I am often outside cycling and always have the tiny Sony ICF 100 with me (which I call my then-student’s dream radio of the later 90ies). Chris made this recording on April 25, 2014 at 00:55 UTC on 6,055 kHz. You'll hear a classic Flamenco tune from 1971 and sign off with the REE interval signal. The recording was made with an Eton E1 and smartphone microphone recording app. Many thanks to SWAA contributor, Frank, for this recording of Bangladesh Betar's English language service. Frank recorded this broadcast from his home in Europe on April 19, 2014, on 13,580 kHz, starting at 17:45 UTC. Frank used a Kenwood R-5000 receiver and a Wellbrook ALA 1530+ antenna. This broadcast originates from Bangladesh Betar's transmitter site in Dhaka (250 kW). This recording begins with the Bangladesh Betar interval signal (many thanks, Frank!). Recorded 1976 and 1977 in Kingston, Ontario, Canada. Click here to download the recording as an MP3 or simply listen via the embedded player below. Please subscribe to our podcast to receive future recordings automatically.